One of the basic aims of a counter-insurgency war is to carry the fight to the enemy. In an age of undeclared wars, terrorism and unprovoked aggression, it is an important strategy to attack and counter-attack terrorist bases in the host countries. An excellent example of this approach and its success in Rhodesia alone are the preemptive air strikes, airborne/para assaults, ground and flying columns conducted by Rhodesian Security Forces and the Selous Scouts against terrorist bases in Zambia and Mozambique. Throughout the conflict, the Selous Scouts conducted numerous operations and raids outside of the country’s borders (see operations map below). Known in Rhodesian military jargon as “External Operations”, simply a cross-border mission. The more important operations are summarized here which were conducted by the Scouts. 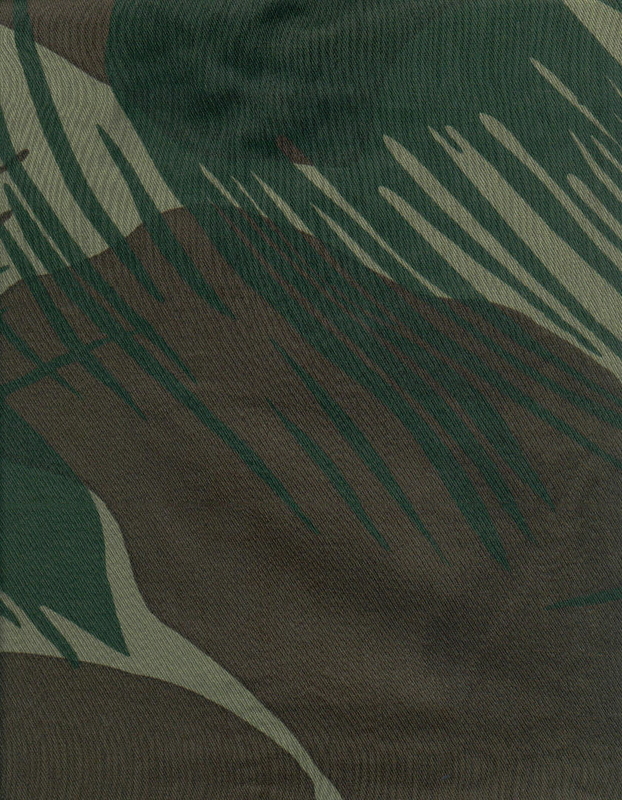 In this respect, the various so-called “hot pursuit” raids that were carried out into the northeastern border area of Mozambique during the beginning of Operation Hurricane are not covered because these operations were being conducted in a country that at that time was friendly to Rhodesia and had authorized the raids. Although the Selous Scouts were originally asked to obtain internal intelligence on insurgents by posing as guerrillas, they became increasingly involved in external operations as the conflict escalated. Some of these operations were of a clandestine nature, to which they were suited, while others were of a more conventional type. **NOTE** Target "letters" are annotated on map. 1. Kidnapping of (ZIPRA) terrorists from Francistown, Botswana, March 1974 (target A). An eight-man team comprising four European and four African Scouts was clandestinely infiltrated into Francistown to kidnap several terrorists and bring them back to Rhodesia for interrogation. The raiders captured four occupants of the ZIPRA headquar­ters and drove them back across the border to Rhodesia without incident. 2. Kidnapping of ZIPRA official from Francistown, Botswana, September 1974 (target A). Another team of Scouts (two Europeans and one African) was infiltrated into Francistown to locate and kidnap a senior ZIPRA official. After several false leads and some reconnaissance, the team finally located their man and abducted him after a fierce struggle. He was then placed in the back of a car and taken across the border to Rhodesia. However, the team left behind false passports, a radio transmitter, and weapons in a hotel room, along with an unpaid bill. One of the European members of the team had to return to the hotel where he paid the bill, collected the weapons and radio, and departed for Rhodesia without incident. 3. Raid on Caponda, Mozambique, March 1975 (target B). Twenty Scouts staged an assault on a ZANLA staging base 55 km north of Rhodesia. They traveled to and from the target on foot. After a 24-hour march, the unit came upon the terrorist base only to find it deserted. A cholera epidemic had broken out among the terrorists and the camp had been evacuated. The unit returned safely to Rhodesia. 4. Mozambique, January 1967 (target G). This operation involved a helicopter-borne assault by 15 Scouts against a ZANLA transit camp that was destroyed. 5. Operation Traveler: Attack on Caponda base, Mozambique, April 1976 (target B). This operation involved another attack on the ZANLA staging camp that was plagued by a cholera epidemic. The attacking force consisted of a 20-man patrol that marched into Mozambique, attacked and destroyed the camp, killing seven terrorists and wounding 16 others. 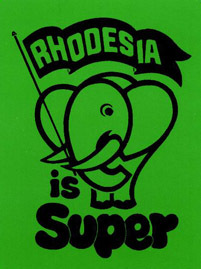 The raiding party returned to Rhodesia on foot, several of them having been injured. 6. Operation Detachment: Raid on Chigamane, Mozambique, May 1976 (target C). This operation involved an attack on a ZANLA base 108 (km) inside Mozambique. Twenty European and African Scouts dressed in FRELIMO uniforms traveled in four military vehicles disguised as FRELIMO vehicles. The ZANLA terrorist base was attacked and destroyed with rockets, mortars, and machine guns. The raiders returned to Rhodesia safely. 7. Operation Long John: Attack on Mapai, Mozambique, June 1976 (target D). This operation involved an attack on a ZANLA base in Mapai, 48 miles inside Mozambique, by 58 Scouts traveling in four trucks and two Scouts cars, all disguised as FRELIMO vehicles. Along the way, the raiders disconnected telephone lines and sabotaged the railway line. The column was allowed to enter the terrorist base by an unwitting sentry. Once inside, sappers destroyed 13 Mercedes busses used to transport terrorists to the border (one bus was spared and was taken back to Rhodesia as a souvenir). In addition, the insurgents’ entire armory was seized and brought back to Rhodesia before an air strike was called in to destroy the base. Nineteen terrorists were reported killed and 18 wounded; one member of the raiding party was killed and a few were wounded. 8. Nyadzonya/Pungwe Raid, Mozambique, August 1976 (target E). This operation involved a raid on a large ZANLA base 60 miles inside of Mozambique by a Scouts column comprising ten trucks and four armored cars, again disguised as FRELIMO vehicles. The Scouts in the first four vehicles were also dressed in FRELIMO uniforms. They cut the telephone lines leading to the town where the terrorist base was located, then drove straight into the camp. They then opened fire on the unsuspecting insurgent terrorists drilling on the parade ground, killing at least 1,028. 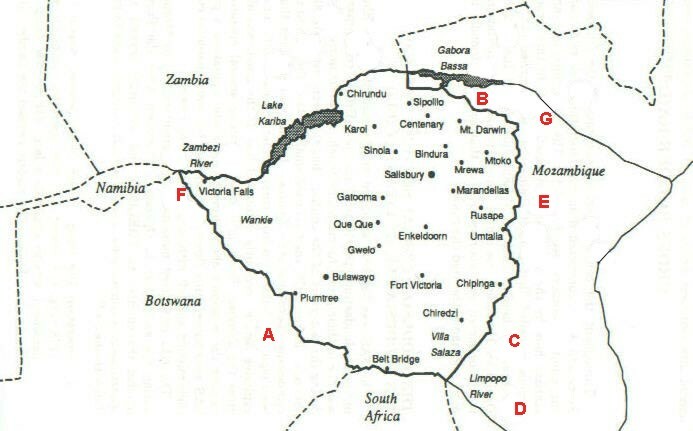 Fourteen important ZANLA insurgents were captured and taken back to Rhodesia for interrogation. On their way out of Mozambique, the raiding party blew up the Pungwe Bridge to prevent any pursuit and returned to Rhodesia safely. In a separate action, the covering team deployed to block the column’s escape, ambushed a Land Rover whose six occupants were found to be senior ZANLA officers; all six were killed. 9. Operation Maradon: Attack on Jorge do Limpopo and Massengena, Mozambique, October 1976 (target D). This operation involved an attack against a ZANLA base at Jorge do Limpopo, 36 miles inside Mozambique. The strike force traveled a circuitous 350 to 400 km roundtrip route, and two reconnaissance teams (one of three and one of two men) were parachuted into Mozambique in advance of the column. Upon entering Mozambique, the raiding party laid Claymore mines on roads and booby-trapped the rail line. Telegraph and telephone lines were also cut. The column then launched a succession of attacks, destroying a FRELIMO garrison, derailing a troop train (and killing 36 of the terrorists on board), and destroying a large water reservoir, along with railway switching points and several enemy military vehicles. A senior FRELIMO commander was also killed. On November 2, the Scouts returned to Rhodesia, having destroyed the terrorists’ logistical base of support. They disrupted communications between Jorge de Limpopo, Malvernia, and Massengena, wrecked two trains, destroyed all motor transport in the area, and sowed landmines in various spots. This operation effectively undercut ZANLA’s operational capacity and weakened insurgent morale. 10. Operation Ignition: Attack on ZIPRA, Francistown, Botswana, November 1976 (target A). This operation involved an attack on ZIPRA’s headquarters in Francistown by a team of Scouts. Its purpose was to destroy a stockpile of suitcase bombs intended for use in Rhodesia. The raiding party used previously captured insurgent suitcase bombs to destroy the headquarters building and the stockpile of bombs, wounding five insurgents in the process. 11. Operation Aztec: Attack on Jorge do Limpopo, Mpai, and Madulo Pan, Mozambique, May—June 1977 (target D). This operation involved an attack on several ZANLA bases 138 miles inside Mozambique by a motorized column of 110 Scouts disguised as FRELIMO soldiers. A railway line, the terrorist bases’ chief source of supply, was also destroyed. In addition, military vehicles and equipment were destroyed by Rhodesian Air Force air strikes flown in support of the raiders. 12. Operation Vodka: Raid on Mboroma ZIPRA camp, Zambia, December 1979 (target location not known). This operation involved a raid on a ZIPRA prison camp 96 miles inside Zambia containing 120 opponents of the terrorist organization along with some African members of the Rhodesian security forces. A team of 42 Scouts were parachuted into the camp after it had been softened up by an air strike. Resistance was quickly overcome: 18 guards were killed and six were captured. Only 32 prisoners were freed, because the remainder were outside the camp on work details. In the evening, the raiders and freed prisoners were airlifted back to Rhodesia from a nearby airfield. 13. Operation Petal I: Botswana, Mach 1979 (target F). This operation involved the kidnapping of Elliot Sibanda, a senior ZIPRA intelligence operative, by a team of Scouts who crept across the border into Botswana and laid an ambush. Although badly wounded, Sibanda was captured and brought back to Rhodesia alive. 15. Operation Petal II: Francistown, Botswana, April 1979 (target A). This operation involved an ambitious raid to kidnap the ZIPRA southern command. The raiding party consisted of a small column of two armored cars and some other trucks disguised as Botswanan military vehicles and Scouts dressed in Botswana military uniforms. The column crossed the border and drove to the house being used by ZIPRA and arrested its occupants. Before the victims realized what had happened, they were back in Rhodesia. 1. The commando/scout unit is able to completely surprise the terrorist main unit or base, thereby showing the terrorists they are not safe anywhere, even outside the country in which they act. 2. The balance of the terrorist strategy is thrown off, causing a delay in time to formulate new plans to contend with this factor. 3. More terrorists, foreign advisers, ammo, and logistics are tied down to protect the external bases. 4. Logistics lines from the source of financial aid also suffer because the terrorists’ supporters are also placed at peril, and risk exposure to world publicity. 5. The terrorists’ bases must be moved farther away from the border to increase protection from air strikes and armored columns, thus causing a longer walk-in for the terrorists and increasing their exposure to commando units. 6. The terrorists’ military planners and advisers are forced to divide their attention between the terrorists’ actions inside the country of conflict and planning for defense of the base camp. 7. The terrorists’ security and intelligence groups are forced to divide their effort to include seeking intelligence agents in the external country. 8. The host country of the terrorists is forced to expend its financial resources to protect its own people and facilities. 9. The host country begins to rethink its support of the terrorist movement, thereby delaying complete unison. 10. In the extreme case, the host country considers ousting the terrorist movement, thereby causing the terrorist HQ to lose its base and forcing a movement to another country or back into the country of its hostile activity, exposing it to pressure from commando/scouts and regular army units. 11. The initiative of the terrorist movement is turned against itself, showing the host country the results of its unfriendly actions. 1. The courage to withstand world opinion, which in most cases is against the country which launches the operation (again like Rhodesia). 2. 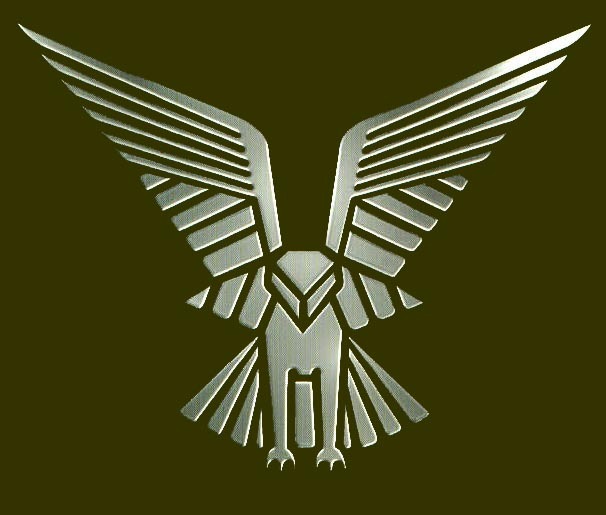 An elite unit (like the Rhodesian Selous Scouts and S.A.S.) capable of outstanding results against overwhelming numbers of terrorists. ***Source*** This information was obtained from the book: AFRICAN MERC COMBAT MANUAL. By Chris Pessarra. Printed 1986, Paladin Press.